Magee’s wheelchair sports programs heighten independence and improve quality-of-life. Getting involved with Magee’s sports programs helps people with disabilities reach for personal health and wellness goals. The Think First injury prevention program visits area schools and community centers to teach children and young adults prevention by “thinking first” in order to avoid permanent brain and spinal cord injuries. A sport unlike any other; Magee Eagles Quad Rugby is as competitive as it is intense! Think First, the National Head and Spinal Cord Injury Prevention Program, is an award-winning public education effort targeting teens and young adults. This program is a registered service mark of the American Association of Neurological Surgeons and Congress of Neurological Surgeons. In the Delaware Valley, Magee Rehabilitation serves as a regional Think First training and coordination site. 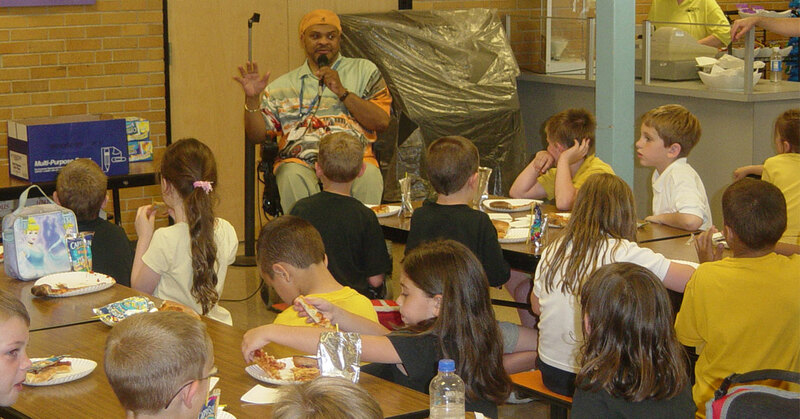 Magee’s healthcare experts and former patients lead the assembly programs that are sponsored by both Magee and various additional community partners.